The residence of Nicholas Biddle, head of the Second Bank of the United States, from 1821 to 1844. The house was originally designed in 1806 by architect Benjamin Latrobe. Upon purchasing the house, Biddle added river side drawing rooms, a kitchen, library wings, and a large wooden portico. The new additions were designed by architect Thomas U. Walter and built from 1834-1836. 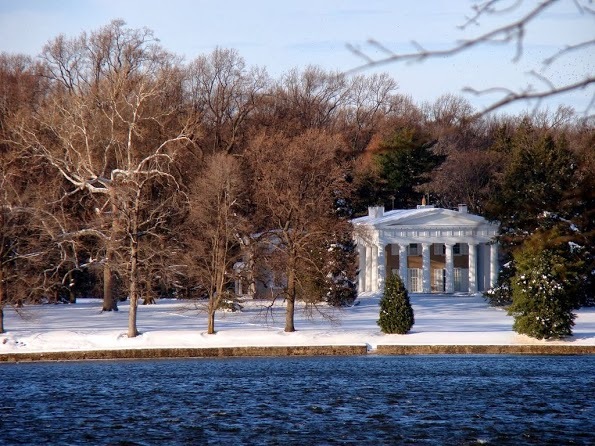 Andulusia is a National Historic Landmark and one of the finest examples of Greek Revival architecture in America.